If there was one shop I have always wanted to be locked in, it’s Lush. 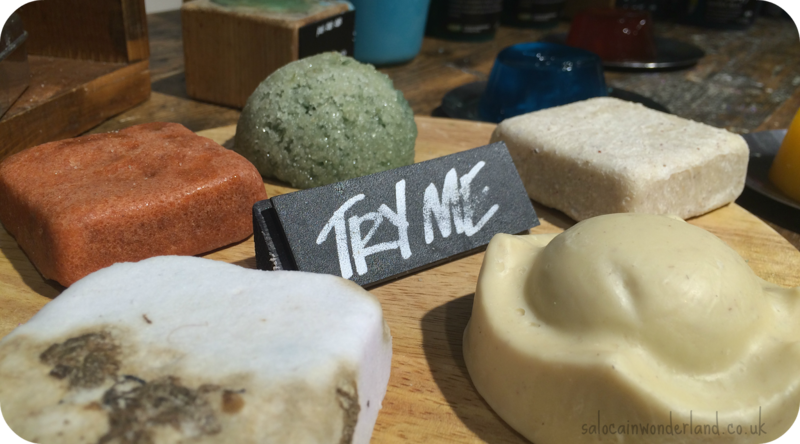 Imagine running amuck amongst the bath bombs, the toothy tabs, the ultrabland and the shower jellies - having the store entirely to yourself? OK, so I didn’t exactly get it to myself but I did get to find out what it’s like to be locked in Lush after hours with dozens of other local blogging lovelies! We quite literally piled in on a Thursday night, with random passers-by on the street trying to join the line and get in on the fun! It reminded me of Boxing Day morning, queuing up to get your hands on all the half price Christmas goodies! We were already having a ball in the line and the fun continued inside. After being greeted by the fabulous Lushies and given a goodie bag, we signed up for a spa tour and took to the floor. Inside our goodie bags where several sample pots that we were encouraged to overfill as we explored the store after hours. 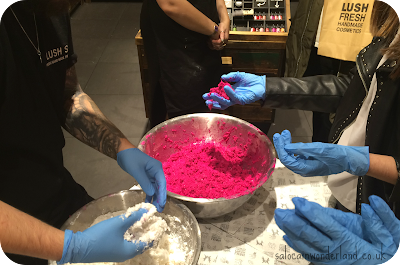 From comforter making stations to hand and arm massages, bath bomb demonstrations, glitter attacks, face mask consultations and a walk through the world of Lush skincare, the night was a non-stop Lush-fest! 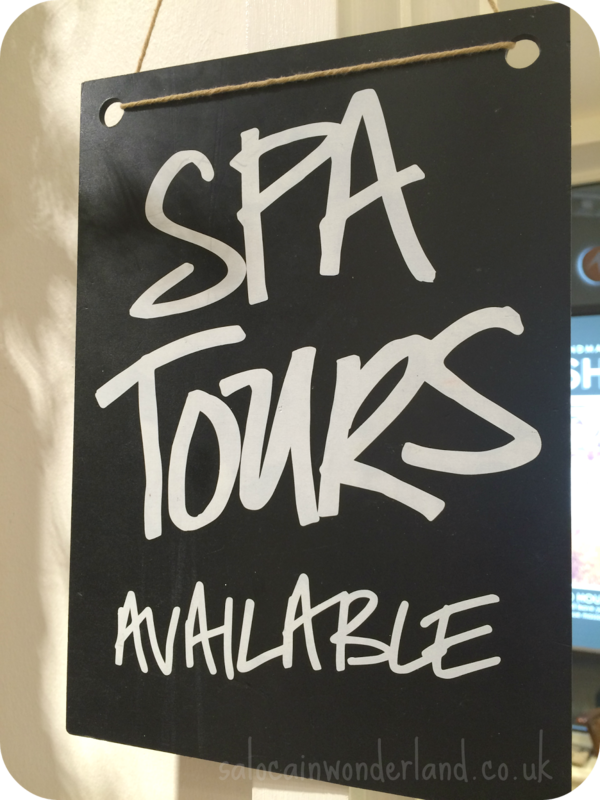 We nipped upstairs in groups to explore one of the prettiest spas in the city and explore the different treatments on offer. The Lush spa is like no other, with its country living kitchen inspired decor, you instantly want to kick your shoes off and curl up with a brew, a hardback book, and a face mask! We had a peek inside the treatment rooms and woah, my mind was completely blown away by the Tales of Bath treatment; a dip in a luxurious bathtub, then a full body, and shoulder massage. The room was stunning, the bathtub was as deep as the shallow end in the bath and you pop in a bath bomb bigger than your head. No joke. I was also really taken with the Validation Facial; full facial and neck, shoulder and arm massage. The validation facial really is something special, with a full 60 minutes pampering on the bed, regardless of how long your consultation takes, and each and every product used it tailored specifically to you and how you want to feel by the end of it. Just watching the facial being performed was giving me the tingles and lulling me into relaxation. Back downstairs, the madness continued, with a face mask consultation where I picked up some brazened honey to try for oily combination skin in need of a pick me up! The staff at every station and those floating around with drinks and nibbles were fabulous. Each and everyone one couldn’t have done more for us, and it seemed like they were having just as much fun as we were! One of the focuses of the evening was checking out the Halloween 2016 line which, if you haven’t checked out yet, you really need to! There are some real gems in this years collection, especially Pumpkin Spice; which is too cute for words and smells super citrusy. Then there’s Monster Ball; a mischievous little guy who will turn your bath an assortment of fluorescent colours and lime fragrance! 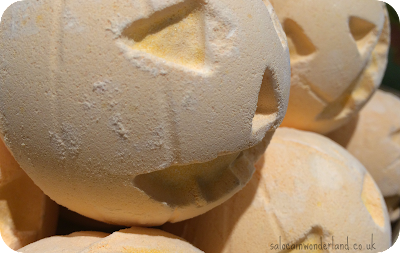 The fruity and refreshing Sparkly Pumpkin is just glitter, glitter, and more glitter, with lime a juniper berry. Lord of Misrule is back and better than ever this year - I’m not a huge fan, but it was a huge hit with the other bloggers on the night! I missed out on making a comforter bar which was a real shame but I did come home with dozens of samples from toothy tabs to roots treatment, a cheeky ultra bland top up and some lemon fluttery cuticle cream to name just a few! 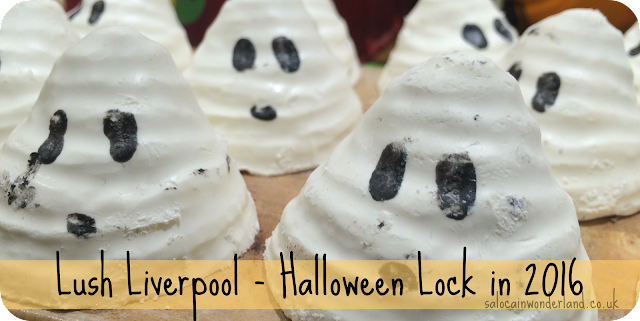 The night was a huge hit, everything my little blogging heart wanted and more! I’m so glad Lush Liverpool finally had a big event and I really hope this becomes a thing and we get locked in a helluva lot more - let’s hope we get a festive lock in this Christmas, I’ll bring out the Christmas jumper and everything!